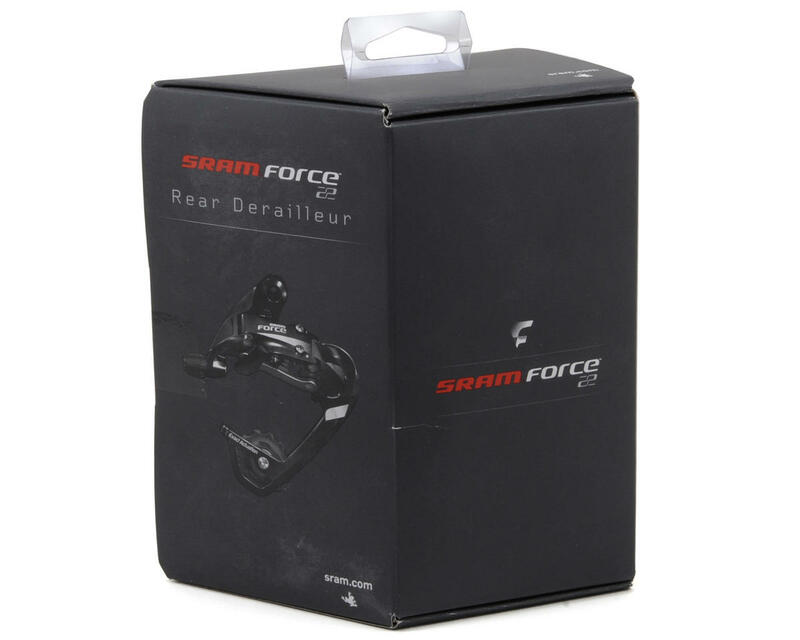 This is the SRAM Force 22 WiFLi Medium Rear Derailleur. 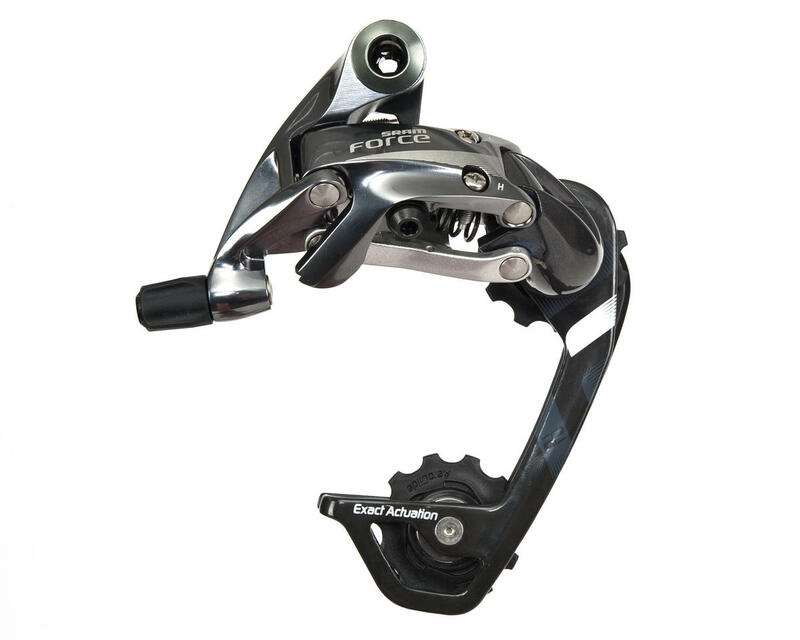 Adopting all the technologies that provide the fastest, quietest shifting available, the new SRAM Force 22 Rear Derailleur has been designed with our Exact Actuation™ technology for precise, efficient shifting throughout the extended gear range. We have given and even refining tooth geometry of the jockey wheel. The result is that the chain that runs smoother and quieter than ever before. With all the additional technologies we’ve managed to keep the weight the same, at well under 200 grams. Exact Actuation™ shifting provides fast, accurate shifts. Silent shifting with optimized Aeroglide Pulleys™. Chain pulley cage adds precise chain management.